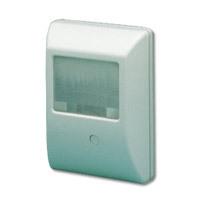 The Model DXS-54 Supervised Passive Infrared Motion Detector Transmitter is a battery powered passive infrared motion detector with a built-in transmitter designed for use with Linear’s DXS and DX format receivers. This transmitter can be used in a variety of motion detection applications. 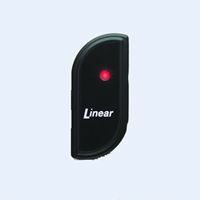 When the passive infrared sensor detects motion in its field of view, the transmitter sends a digitally coded wireless signal to its companion receiver. The digital DXS code format features over a million possible codes. The DXS transmitters are precoded at the factory to unique codes, so no field coding is required. The DXS-54 can send three different signals: alarm, low battery and status. In a typical installation, the motion detector is mounted indoors in a corner or on a wall between six and eight feet high. 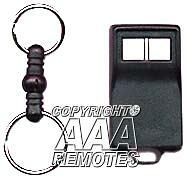 The sensor will monitor the infrared level in its detection pattern. If the level increases or decreases rapidly (as when a person or animal moves through the area) the transmitter triggers, sending an alarm signal to the receiver.